The vital objective of this report is to analysis Foreign Trade of Shahjalal Islami Bank Limited. Other objectives of this reports are to know about the Foreign Trade system and to know the performance of foreign trade activities of SJIBL. Finally this report make swot analysis Shahjalal Islami Bank Limited. To know the performance of foreign trade activities of SJIBL. These Divisions have small departments or units under them. Shahjalal Islami Bank Limited (SJIBL), a Shariah based commercial bank in Bangladesh, was incorporated as a public limited company on 1st April, 2001 under Companies Act 1994.The bank commenced commercial operation on 10th May, 2001 by opening it’s first branch i.e. Dhaka Main Branch at 58, Dilkusha, Dhaka obtaining the license from Bangladesh Bank, the Central Bank of Bangladesh. Its first corporate head office was situated at 10, Dilkusha C/A, Jibon Bima Bhaban, Dhaka-1000 which is shifted to , Uday Sanz, Plot No. SE (A) 2/B, Gulshan South Avenue, Gulshan – 1, Dhaka-1212, Bangladesh. The bank opened two branches in 2001, six branches in 2002, two branches in 2003, two branches in 2004, and four branches in 2005, eleven branches in 2006, 2007 and 2008, about 31 branches opened in the year 2009, 2010 & 2011. Total number of branches stood at 63 in 2011 and some more branches are likely to open in important business locations of the country during this year subject to the approval of Bangladesh Bank. As per Article 30 of the Article of Association of the Bank, Shariah Council for the bank has been constituted. The Shariah Council of the bank consists of prominent Ulamas, Bankers, Lawyers and Economists to advise and guide on the implementation of Islamic Shariah in business activities. The council enjoys a special status in the structure of the bank and playing a vital role to make the bank as Shariah compliant. Members of the Shariah Council meet frequently and deliberate on different issues confronting the Bank on Shariah matters. They also conduct Shariah inspection of branches regularly so as to ensure that the Shariah principles are implemented and complied with meticulously by the branches of the Bank. SJIBL offers a full range of banking services for the personal and corporate customers, covering all segment of society within the framework of Banking Company Act 1994 as well as rules and regulations laid down by central bank. Diversification of products and services include corporate banking, retail banking and consumer banking right from industry to agriculture, real estate to software and is backed by the latest technology. The bank is being managed by a group of highly experienced professionals with diversified experience in finance and banking. The bank has already achieved tremendous progress in only five years. The bank has already ranked as one of the quality service providers and is known for its reputation. To strive for customers best satisfaction & earn their confidence. To manage and operate the bank in the most effective manner. To identify customers’ needs and monitor their perception towards meeting those needs. To review and update policies, procedures and practices to enhance the ability to extend better services to the customer. To train and develop all employees and provide them adequate resource so that the customer needs are reasonably addressed. To cultivate a congenial working environment. To diversify portfolio both the retail and wholesale market. The bank is managed by a team of professional executives and officials having profound banking knowledge and experience in different sectors management and operation of banking. During the short span of time SJIBL so far introduced a good number of attractive deposit products to broaden the resources base and also investment products to deploy the deposit products. SJIBL always try to introduce a wide verity of attractive deposit, investment and services for suiting taste and requirement of the client. Bank means mobilizing fund from surplus unit and deployment of fund for deficit unit. SJIBL mobilize its fund from surplus unit through different types of deposit schemes and deployment this fund for deficit unit through various investment schemes. So the main products of SJIBL are different kinds of deposits and investment schemes. Deposit is the “life-blood” of a bank. Bank has given utmost importance in mobilization of deposits introducing a few popular and innovative schemes. The mobilized deposits were ploughed back in economic activities through profitable and safe investment. The total deposit of SJBL stood at TK. 76,648.87 million as on 30th June 2011, which was about 62,964.95 million at the end of 31 December, 2010. Table: Deposit Mix as on 30th June, 2011. The special feature of the Investment policy of Shahjalal Islami Bank Limited is to invest on the basis of profit loss sharing system in accordance with the tenets and principles of Islamic Shariah. Earning of profit is not only the motive and objective of the bank’s investment policy rather emphasize is given in attaining social good and in creating employment opportunities. The investment and credit department is very important department of a Bank. The money mobilized from ultimate surplus units are allocated through this department to the ultimate deficit unit (Borrower). The success of this department keeps a great influence over the profit of a bank. Failure of this department may lead the bank to huge losses or even to bankruptcy. So special care should be given to this department. Bank landing is important to the economy. Adequate finance can maintain a stable output. But as liquidity and profitability are conflicting considerations, SJIBL, as a bank, while employing the funds pays due regard to both profitability and liquidity. To provide better services to the valued customers using the latest technology and electronic media competing with other private banks to set the establish full automated, on-line, centralize banking systems interfacing with all delivery channels link, like ATM (Automated Teller Machine), POS (Point of Sale-Fund Transfer Machine for purchasing at any shop/service center. ), any branch banking, home banking, tele banking, internet banking etc. Online banking or any branch banking is a system where transactions, queries and statements of any client of a certain branch may be carried out from another branch of the bank. Sense of satisfaction of having an international brand. Any where any time banking. 24 hours and 7 days a week banking. Directly linked with cardholders account. Convenient cash withdrawal at ATMs. Acceptability at huge number of Q-cash ATMs around Bangladesh. Accepted at all VISA terminals locally and globally. Local and international transaction with the same card (for duel card). Shopping at a large number of Q-cash POS terminals around Bangladesh. Avoid pressure of at counter of bank. Minimizing risk of carrying cash. This is a service provided by the bank through mobile phone. This new technology based service will helps the bank to attract new customer base. Through SMS or Pull Push service client will be facilitated with cell phone based banking service. This SMS service will help the bank to enhance and extend customer service levels on a collaborative basis and reduce teller queues. Society for Worldwide Inter-Bank Financial Telecommunication (SWIFT) is a bank owned co-operative serving the financial community worldwide. The SWIFT Transport Network (STN) is a dedicated global network for secure communication between SWIFT Customers. SWIFT supports the financial data communication and processing needs of financial institutions, through a range of financial messaging services and value-added processing, as well as, access through the STN and interface and application software. In short SWIFT is a pioneer in the automation of the global financial industries. Shahjalal Islami Bank Limited has introduced this SWIFT alliance entry system firstly in October 2002 and introduced SWIFT alliance access in October 2003. Despite changing macroeconomic condition and volatile money market and foreign exchange market SJBL was successfully in achieving much higher than national growth in deposit, investment (loan), export, and import and remittance business. The bank has maintained and achieved strong position in all key areas covering capital adequacy, asset quality, sound management, good earning and strong liquidity. Here shows current position of SJBL in different areas as on 30th June, 2011. Foreign Exchange Branch started its operations as 5th branch of Shahjalal Islami Bank Limited in 2002. The branch is located at Modern Mansion (1st Floor), 53 Motijheel C/A, Dhaka-1000. Office floor is spacious that can accommodate good number of customers comfortably. Branch has efficient human resources that can meet up customer’s needs. Order wise work load is distributed properly. Besides, interpersonal relationship is remarkable. Most noted strength is customer service. Prompt, cordial & enthusiastic service satisfies almost all customers. Flexible banking hour attracts more clients doing banking transactions with the branch. In some cases, customers, coming outside the banking hour can honour the cheque & others without delay. Now under the charge of Senior Vice President M. Samsul Arefin the branch has been performing very well. Under his efficient handling, the branch has already been able to introduce itself as one of the best performers among all other branches of SJIBL. Last year (2007) Foreign Exchange Branch earned a net profit of Tk. 2013 lac. From this viewpoint the branch was in the second position among all other branches of SJIBL in the country. Even after it has an organized Foreign Exchange Department, the import and export businesses that are usually done in this branch make it a profitable one. Table: Operational performance of SJIBL FEx. Br. “Business policy and six years perspective plan” of the Bank from 2007 to 2012 has been formulated to attain the financial strength, sustainable growth and operational efficiency. To protect the interest of the stakeholders, bank has formulated the six years perspective plan for consolidation of the growth and profitability. During the period of perspective plan, Bank has the main objective to attain the height operational excellence and consolidation to turn the bank into a dynamic Islamic Bank in the country. During the period from 2007 to 2012, this period, new and potential avenues of Business in all areas of operation to be explored and expanded through the network of existing 26 branches and more new branches to be opened gradually during the plan period subject to permission of Bangladesh Bank. Necessary change, adjustment, modification & re-allocation shall be made after periodical review keeping the real scenario in view. All out efforts shall be made for promotion and improvement of quality-investment through effective supervision, control, follow-up and monitoring in order to lessen the quantum of over dues, to arrest further over dues and to recover, regularize the over dues and declassify the classified investments. Adequate care & caution to be exercised for compliance with 05 core risks as per Bangladesh Bank’s Policy/instructions during the planned period. Asset-Liability of the Bank shall be managed effectively through ALCO to avoid Liquidity Risk, profit rate risk, operational risk and other risks. Thus, Shahjalal Islami Bank Limited will be turned into a dynamic Islamic Bank in the country and will expand its Banking Business all over the Country to provide the Banking services to the groups including the deserving economic groups of the society who have no easy access to the banking channel. This will help for alleviation of the poverty, income generation, creation of employment opportunity, up-grading of the standard of living of the lower economic groups, which will also contribute to the emancipation of the national economy of the country. Shahjalal Islami Bank Limited is looking forward to see such a bright day in the years to come. With a view to proving financial assistance to the poor and needy people of the society and also for the welfare of the community, Bank has established “Shahjalal Islami Bank Foundation” the foundation among others has also objective to provide health care, relief & rehabilitation, education, dawa, distribution of winter cloths during the winter etc. Shahjalal Islami Bank International School & College. General banking is the starting point of all the banking operations. This department does the most important and basic works of the bank. It is also the department, which provides day-to-day services to the customers. All other departments are linked with this department. It also pays a vital role in deposit mobilization of the branch. SJIBL provides different types of accounts, locker facilities and special types of saving scheme under general banking. Bangladesh Bank issues Authorized Dealer (AD) license by observing the bank’s performance and also the customers associated with the bank for conducting foreign dealings. So, Shahjalal Islami Bank Limitade, FEx. branch is an authorized dealer. Banks play a vital role by minimizing the risk of two parties, namely buyer and seller. In fact without the help of banks we cannot think about a congenial international trade environment. The special feature of the Investment policy of Shahjalal Islami Bank Limited is to invest on the basis of profit loss sharing system in accordance with the tenets and principles of Islamic Shariah. Earning of profit is not only the motive and objective of the bank’s investment policy rather emphasize is given in attaining social good and in creating employment opportunities. In case of Import, the importers are asked by their exporters to open a letter of credit, so that their payment against goods is ensured. Buyers and sellers enter into contracts for buying and selling goods/ services and the buyer instructs his bank to issue L/C in favor of the seller. Here bank assumes fiduciary function between the buyer and seller. A revocable letter of credit can be amended or canceled by the issuing bank at any time without prior notice beneficiary. It does not constitute a legally binding undertaking by the bank to make payment. Revocation is possible only until the issuing bank or correspondent has honored the document. Thus a revocable credit does not usually provide adequate security for the beneficiary. Undertaking by the bank to make payment. Revocation is possible only until the issuing bank or correspondent has honored the document. Thus a revocable credit does not usually provide adequate security for the beneficiary. On receipt of the cost memo/lodgement voucher the importer pays the required amount. This stage is known as ‘Retirement of Import Bills’. Bank will prepare the vouchers to reflect the amount of cost and other charges from the importer, adjustments of margin and PAD Account. Thereafter the documents may be handed over to the importer against proper acknowledgement after certification and endorsement. Investment Department under authorized signatures must issue a memo advising the LC Deptt. To release the documents after full adjustment of bank dues and/or TR/MPI facilities, as per prescribed formats. The bank that opens a letter of credit, at the request of the importer, is known as Issuing Bank. The issuing bank is the buyer’s bank and is called opening bank. Bank normally issued letter of credit (L/C) on forms, which clearly indicate the Banks name and extent of the banks obligation under the credit. The contents of the L/C of different may be different. In general, L/C contains the following information. Moment of the credit: This should be the value of the merchandise plus any shipping charge intent to be paid under the credit. Tenor of the draft: which is normally dependent upon the requirements of the buyer. Industrial raw materials for own use of industrial importers (including back-to-back imports discussed later in the section) on up to 180 days usance basis. For import on deferred payment basis, the price must be internationally competitive and usance interest, if any, should not be higher than the LIBOR for the corresponding period or the rate prevailing in the currency of the country of the supplier. Instructions regarding opening of import LCs on longer usance terms against supplier’s credits arranged by industrial enterprise in the private sector as per general or specific BOI approval are contained in chapter 23 of the ‘Guidelines for Foreign Trade Transactions’ of Bangladesh Bank. Foreign Exchange Regulation Act, 1947 nobody can export by post and otherwise than by post any goods either directly or indirectly to any place outside Bangladesh, unless a declaration is furnished by the exporter to the collector of customs or to such other person as the Bangladesh Bank (BB) may specify in this behalf that foreign exchange representing the full export value of the goods has been or will be disposed of in a manner and within a period specified by BB. Back-to-back L/C is a secondary L/C (New Import L/C) opened by the seller’s bank based on the original L/C (Master L/C) to purchase the raw materials and accessories for manufacturing of the export product (s) required by the seller. Under the ‘Back to Back’ concept, the seller as the Beneficiary of the master L/C offer it as a ‘security’ to the advising Bank for the issuance of the second L/C. The beneficiary of the Back-to-Back L/C may be located inside or outside the original beneficiary’s country. In case of a Back-to-Back L/C, the bank takes no cash security (margin). Bank liens the Master L/C and the drawn bill are a Usance/ Time bill. On receipt of the LC the steps to be taken are the following: The branch should enter full particulars of the LC in the LC Advising Register allotting separate serial number for each LC. Serial number of the Register should be recorded on the left hand top corner of the printed LC advising form or on the original LC itself as the case may be In case of cable LC, on receipt of mail confirmation update the record by noting the particulars in the LC Advising Register Particulars of all amendments (if any) are also to be recorded in the same register before advising the same to the beneficiary If the credit is an Air Mail LC “Hand-on-credit”, addressed to the beneficiary, dispatch the same in original to the beneficiary under cover of the Bank’s forwarding letter either by registered mail or through messenger, as may be convenient, retaining a photo copy for the bank’s record. Branches should neither forward any case to Head Office for approval for adding confirmation to LCs issued by a bank, which is not our correspondent, or in respect of revocable LC; nor should they add any confirmation to an LC without prior approval of the competent authority in the bank. Any amendment to an LC received from Issuing Bank should be advised to the beneficiary promptly. Only request of Issuing bank for any amendment should be accepted. Branch should recover LC advising commission from the beneficiary. If the beneficiary is the bank’s client, the charge is debited to his account and if the beneficiary is not our client, the charge will be cash. After negotiation of the bill or acceptance of the documents for collection, the branch should complete the certificates in the space provided on the duplicate copies of the EXP Form to the effect that they have negotiated bills/received-shipping documents for collection for the value stated on the form. When payment is received the branch shall certify on the reverse of the Triplicate copy of the form retained with them and forward it to the Bangladesh Bank with the usual return. The quadruplicate copy will be retained by the branch for record. On negotiation purchase of the export bill, the exporter may be paid the value of the bill after converting the bill amount into Bangladesh Taka at the ruling bill buying rates–OD Sight Export buying rate for sight bill and long bill buying rate for usance bill. Other approved charges of the bank may also be adjusted against the bill amount. If forward cover had been booked with the branch, the conversion should be made at the booked rate of exchange. When shipment is not covered by an LC or the documents are found discrepant even though shipment is made against LC, the export bill is sent to the correspondents for collection. In that case, the bank may give advance to a trust worthy exporter against the security of the export bills ranging up to 90% of the value of the bill, depending upon the merit of each case. In such cases, bank may also insist on collateral securities, like guarantee from third party or equitable/legal mortgage of property. On March 24, 1994 Bangladesh Taka was declared convertible for current account international transaction. As a result remittance became more liberalized. SJIBL is very happy to announce to have joined hands with western union system and kushiara and introduce swift service to serve expertise to send money back home quickly from anywhere in the world. money can also be sent quickly through western union, kushiara and swift service from bangladesh to other part of the world. Kushiara Money Transfer’s a definition of safety and reliability and a popular Money Transfer Company in United Kingdom (U.K.). Kushiara offers “Instant Cash” next day collection from Bank counter at most cities in Bangladesh and “Quick Credit” to beneficiary’s account in all over the Bangladesh. Contact with us, ask for exchange rate and know how much you need to pay. Deposit the money to Barclays Bank-Kushiara Finacial Services Ltd, A/C No: 20651079 Sort Code: 202178. Certificate copy of Bank or Building Society Statement or Utility bill (gas, water, electricity) within three month. All transaction is authorized under the money laundering regulation. Kushiara has all necessary licenses to carry out the financial service business it offers. Western Union Financial Services Inc. U.S.A. is the number one and reliable money transfer company in the world. This modern Electronic Technology based money transfer company has earned world wide reputation in transferring money from one country to another country within the shortest possible time. Shahjalal Islami Bank Limited has set up a Representation Agreement with Western Union Financial Services Inc. U.S.A. Millions of people have confidence on Western Union for sending money to their friends and family. Through Western Union Money Transfer Service, Bangladeshi Wage Earners can send money quickly from over 280,000 Western Union Agent Locations in over 200 countries and territories world wide- the world’s largest network of its kind, only by visiting any branches of Shahjalal Islami Bank Limited in Bangladesh. Our customers have benefited from our electronic money transfer for over 150 years. Each transfer can be tracked electronically to make sure that you receive the money your loved one has sent. When your loved one sends you money, within minutes you can receive it in Bangladesh. Convenience: Bank account is not required! Just go to a Shahjalal Islami Bank Limited branch anywhere in Bangladesh offering Western Union Money Transfer. Then simply fill a form and collect your money. Shahjalal Islami Bank Limited has 26 such branches all over Bangladesh and Western Union has over 280,000 agent locations across 200 countries and territories. Ones deposit the money at any Western Union Agent location and get a receipt with MTCN. He/she then informs to persons for the amount sent (sender name, amount, sending country, receiver name and MTCN). Just go to the nearest Shahjalal Islami Bank Branch with a valid identity card. Fill a simple form and receive the money. Develop Management system : SJIBL has better management system which is always responsible for better service. More found for investment : For adequate financial ability they can provide loan to the more investment clients. “Banks deal with documents not goods” is one of the core principles of conventional banking. However Islamic banking needs to with goods are imposed by shariah. Bank has limited ATM booth. Lake of central AC for better working environment. Generally investment clients do not come to the Islamic Banks only for Shariah purpose rather for low transaction cost. Lake of training facility of junior officers. Fewer clients for trade business. Shahjalal Islami Bank Limited is one of the most renowned bank in the country. SJIBL has introduced a new dimension in the field of innovative and benevolent banking in our country. The bank has successfully made a positive contribution to the economy of Bangladesh with in very short period of time. Its profit is gradually increasing. Therefore, Shahjalal Islami Bank Limited (SJIBL) is trying to establish the maximum welfare of the society by maintaining the principles of Islamic Shariah which is based on “Quran” and “Sunnah”. Profit earning is not the only motive and objective of the bank’s overall policy rather emphasis is given in attaining social good and in creation employment opportunities. 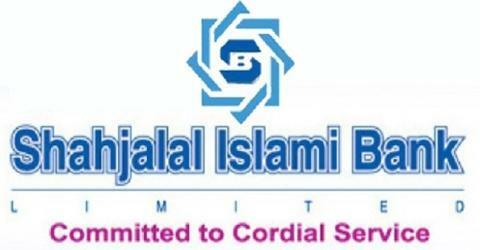 Shahjalal Islami Bank Limited (SJIBL) has been established with a view to conduct interest free banking to establish participatory banking instead of debtor-creditor relationship and finally to establish welfare oriented banking through its overall banking operations that would lead to a just society. I hope SJIBL do more work for socio-economic development besides their banking business. To keep pace with ever-changing uncertain domestic business environment and face the challenges of revised global economic scenario, the bank should be more pro-active and responsive to introduce new marketing strategy to hold the strong position in home and abroad. For the future planning and the successful operation in its prime goal in this current competitive environment I hope this report can provide a good guideline. I wish continuous success and healthy business portfolio of Shahjalal Islami Bank Limited (SJIBL). Proper and sufficient training is required for each and every staff to work with full capability in the best way. Customer must be convinced to use token system, which will help the personnel of the customer service work smoothly. Complain of the customers should be decreased on zero level. Increase the SJIBL’s own ATM booth. SJIBL requires resorting to massive image re-engineering in order to capture the public perception to take the lead role in this sector. SJIBL’s investment processing should become easier than other conventional banks. SJIBL should make its investment schemes more attractive for availing high-return projects. SJIBL should consider utilization of rural potentials from both efficiency and equity grounds in the context of the present-day socio-economic conditions of Bangladesh. Strong commitments and stepping up through experiment and implementation of innovative ideas are the appropriate ways to do that. SJIBL should deserve immediate attention in the promotion of the image of Shariah based banks as PLS (Profit-loss-sharing)-banks.